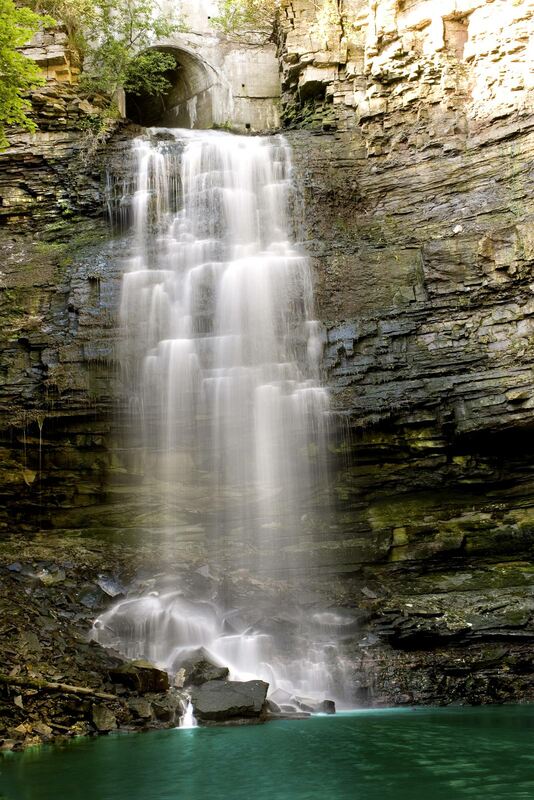 To capture the beauty of a waterfalls requires only a few camera settings, a sturdy tripod and proper lighting. The camera settings can apply to both film and digital. 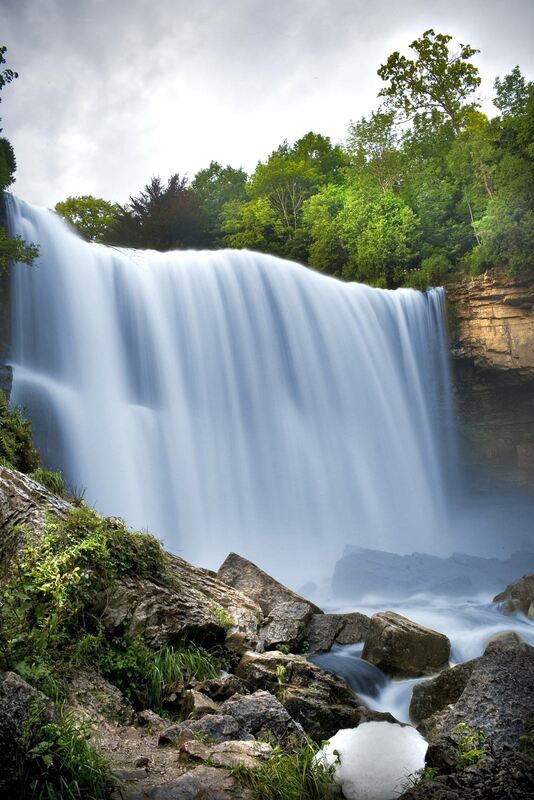 In order to show movement of the flowing water, the image requires a long time exposure. There are different ways to achieve this, one is by using a Neutral density filter to reduce light entering the lens, the other is to set the ISO at its lowest setting, usually 50 on most DSLR’s, and a high f-stop(16-22). The lighting conditions also dictate the camera settings and the need to use a Neutral density filter. Low lighting (morning,dusk, overcast,storms) is ideal as the camera needs lots of light for a exposure thus requiring a slow shutter speed. During the day when the bright sun is directly overhead the use of a neutral density filter reduces the light thus also requiring a slow shutter speed. Another option to reduce shutter speed is the DOF(Depth of Field) also known as the f-stop. Using a high f-stop(16-22) further reduces light entering the senser/film, but creates a very detailed image. This clarity is necessary around the flowing water to show movement. The sharp part of the image is static showing detail while the flowing water is blurry again showing movement. It is necessary to use a sturdy tripod during long exposures to reduce camera movement. Since some of the waterfalls have minimal flow during the summer, I find that after a storm the creeks swell and the area falls come to life. The air is usually clearer after a storm as the rain scrubs the air removing pollution, dust, humidity which makes for nice crisp images. Tv(time value/shutter speed) should be set low to achieve a correct exposure with the high f-stop, usually in the seconds. Either Priority’s, Tv(time value) or Av(aperture value), or M(manual) will result in same exposure. They’re dependent on each other in the camera’s algorithms. 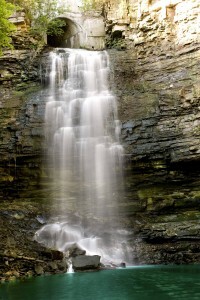 The use of a neutral density filter when required to further bring down the shutter speed on a bright day. Try to keep the exposure indicator in the centre or at +1,-1 stops to reduce blown out shadows or highlights. The final part is enjoying the view and capturing that moment for others to see!